If you’re a Mandy Moore fan, you’re no stranger to her enviable red carpet style. From an ’80s-inspired patchwork Marc Jacobs dress to a slinky blue gown with cutouts, Mandy never fails to bring her best fashion game. Side note: We know many of us are still reeling from the season finale of This Is Us. But let’s take a second away from crying to admire the ensemble she wore to PaleyFest LA 2017 at the Dolby Theatre. Yesterday, Mandy stepped out in a classy forest green pantsuit that literally channels all of our St. Patrick’s Day goals. Forget leprechaun hats, Mardi Gras beads, and “Kiss me, I’m Irish” T-shirts. THIS is how we should be doing March 17th style. Her Lela Rose designed look even has a subtle clover hidden in plain sight, which is magical on so many levels. And while pantsuits aren’t typically the most fashion-forward style, hear us out. This one is different. The top features voluminous sleeves and an off-the-shoulder silhouette, which feels very trend-ified. 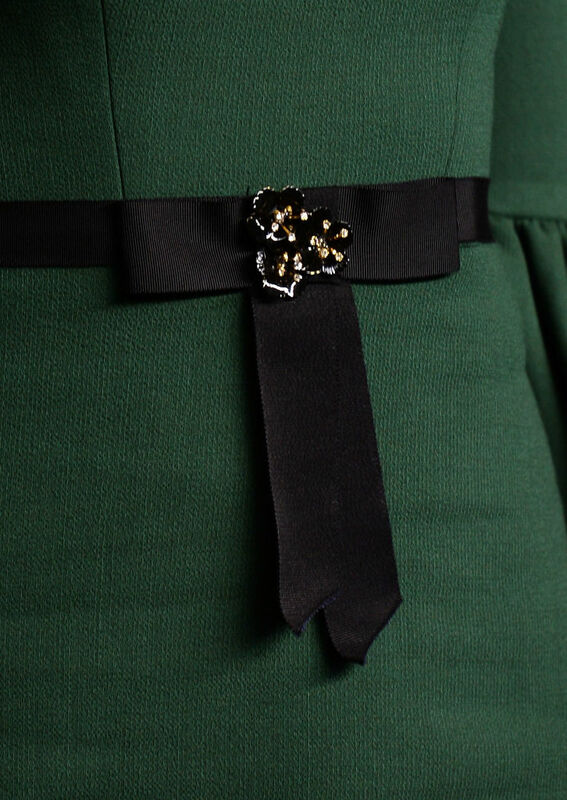 The black ribbon belt cinches everything in and polishes off the look. We still have much to digest before Season 2 of This Is Us. But in the meantime, at least we can admire Mandy’s great sense of style and overall adorableness.